Virtual Private Networks are getting popular day by day. The reason of this expansion is bad situation of cyber security and growing internet restrictions by governments around the world. What VPN does is simple to understand. It masks your IP and gives you an IP of another area that you desire. This can lead to secure browsing and unrestricted access to many websites. VPN Services Providers are companies that provide you with VPN connection in your home. These companies usually have large networks, several servers and a big staff to maintain operations. Sadly, after the increase in demand for VPN, many bogus companies who had inadequate infrastructure and poor services stepped into the field. These companies still sometimes fool people and get monthly charges. They usually have a non refund policy and hence prove irritating. Express VPN provides very affordable and even discounted monthly, biannually and an yearly package. 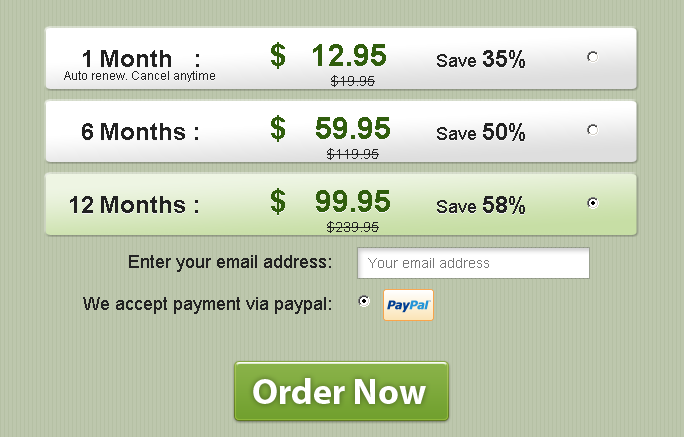 You can save upto 58% on these packages and packages start from a very affordable $8.32 / month. Apart from these attractive packages, there is also a 30 day money back guarantee which ensures that you will only pay for the service if you are satisfied with the results. Payments are accepted via PayPal which is an internationally available service. You also have to sign no fixed contract and can cancel at anytime if you feel you want to stop using. You can also buy multiple accounts once you have purchased one account. There is also flexibility of changing your plan when ever you want. In short, Express VPN is the Service you definitely want to get! You can check further VPN providers Review here. Next post: How to Setup a VPN Connection on Windows?